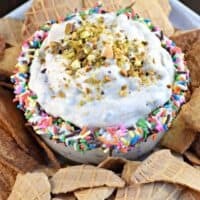 This easy, sweet Cannoli Dip recipe tastes like the delicious filling of your favorite Italian dessert! Last weekend we had a big celebration. I’m not talking about a large group of people…I’m talking about many holidays in one day. You see, my son was home for the week…and he will be out of the country for his birthday, Thanksgiving, Christmas and New Years. The first time we won’t be together for the holidays. So, I made the holidays last week. We celebrated his birthday….we ate a huge Thanksgiving dinner…we enjoyed egg nog around the Christmas tree and opened presents…and then we cheered for New Years with champagne and confetti poppers. And we did it all in ONE DAY. Whew….it was exhausting, but hopefully the memories of that day will be with us when we aren’t together on the actual holidays. 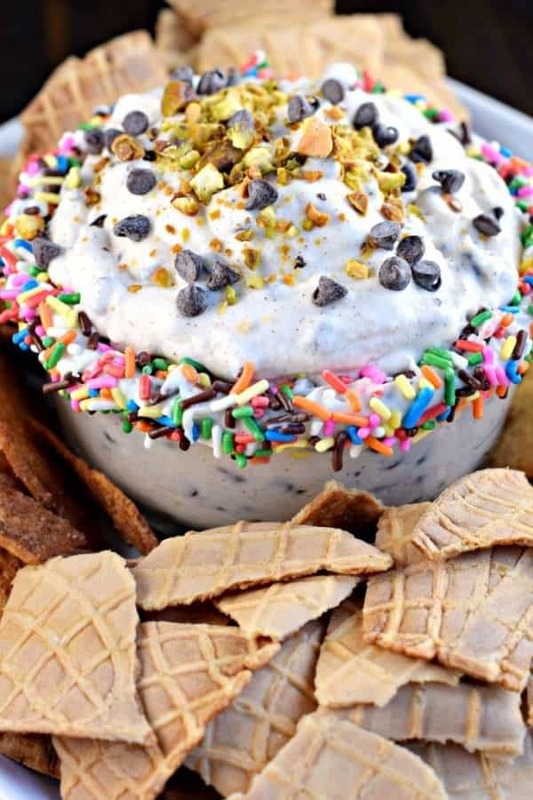 One of the treats we enjoyed was the Cannoli Dip. And by “enjoyed” I mean, Demolished. Destroyed. Devoured. I had first tried it earlier this year at a family party. And I knew I would have to recreate this fantastic dip! I used cinnamon pita chips as dippers, as well as broken waffle cones. Actually, I bought the waffle bowls and broke those into large pieces, they worked out perfect! If you can find the bowls, cones will work just fine too! Or buy some cannoli shells, that would be tasty too! ENJOY! 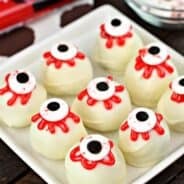 Melt white chocolate in microwave for about 30 seconds. Stir until smooth. Using a silicone brush (or knife), spread melted chocolate on rim of 2 cup bowl. Add sprinkles immediately. Set aside. In a clean, dry mixing bowl, beat heavy cream until stiff peaks form, about 2-3 minutes. Set aside. 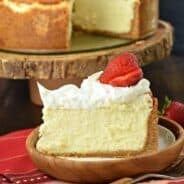 In a mixing bowl, combine ricotta cheese, cream cheese, powdered sugar, and cinnamon. Stir until blended. Fold in the beaten whipped cream. Fold in all mini chocolate chips. Pour into serving bowl (with the sprinkles). Sprinkle with chopped pistachios (and extra chocolate chips if desired). Refrigerate for 2 hours (or more). Serve with cinnamon pita chips and broken waffle cones (or bowls). ENJOY! 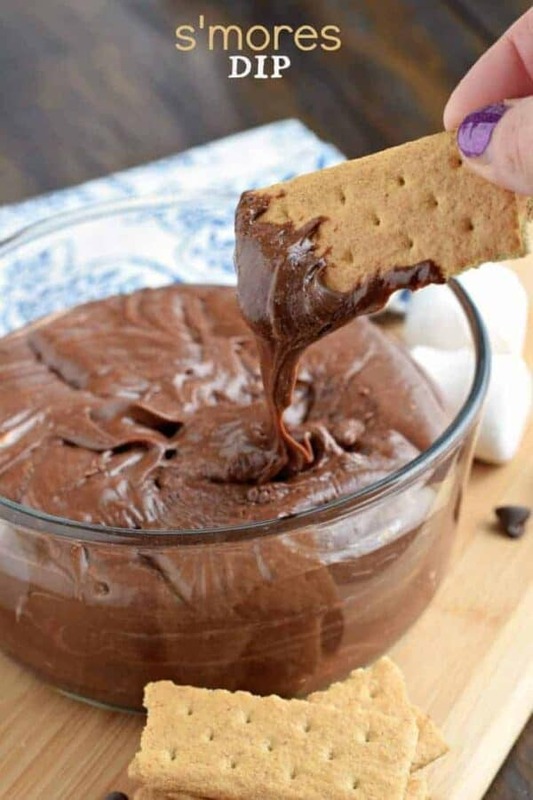 Easy S’mores Dip: only a couple ingredients for this delicious year round treat! 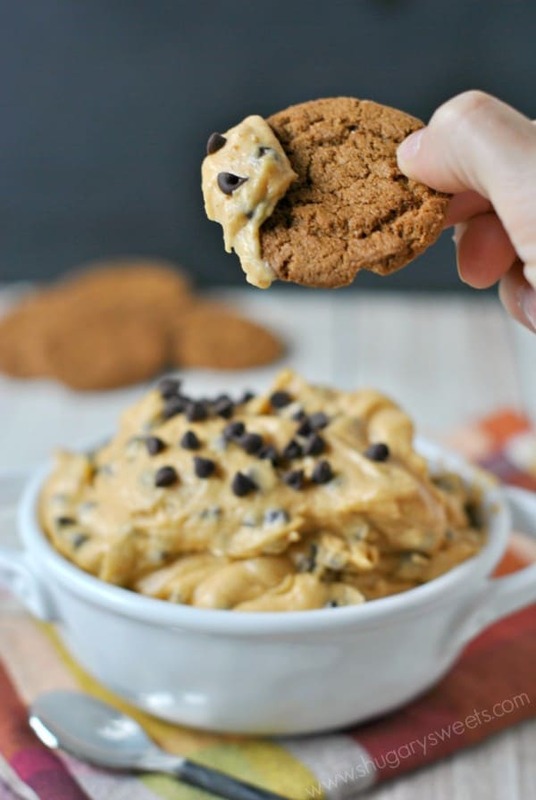 Pumpkin Chocolate Chip Cookie Dip: serve with gingersnaps for the perfect fall treat! 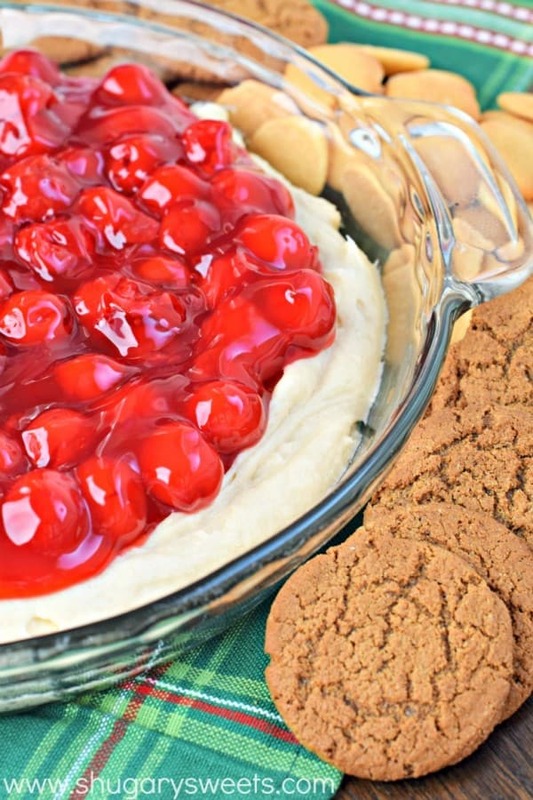 Cherry Cheesecake Dip: you won’t believe how easy and delicious this dip is for parties and holidays! 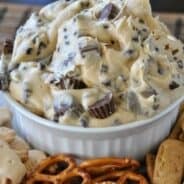 I am loving this dip! How perfect! It’s so wonderful you were able to celebrate the holidays with your son early and create those memories! 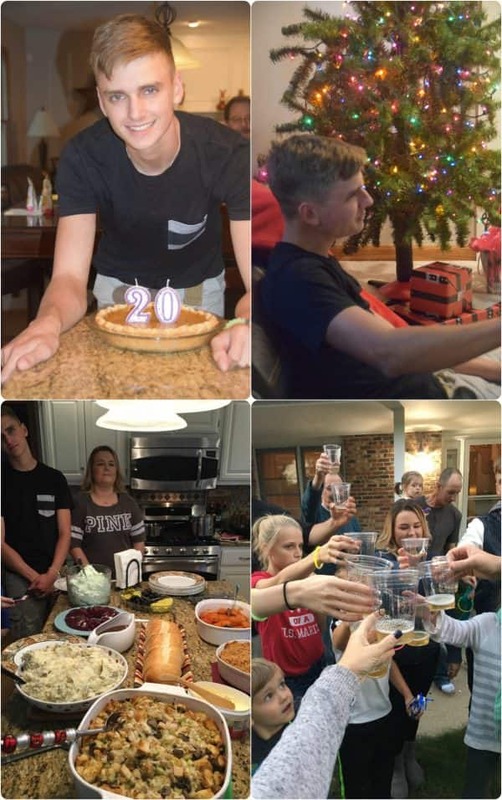 How fun to do all the holidays in one day for your son, I’m sure he loved it! 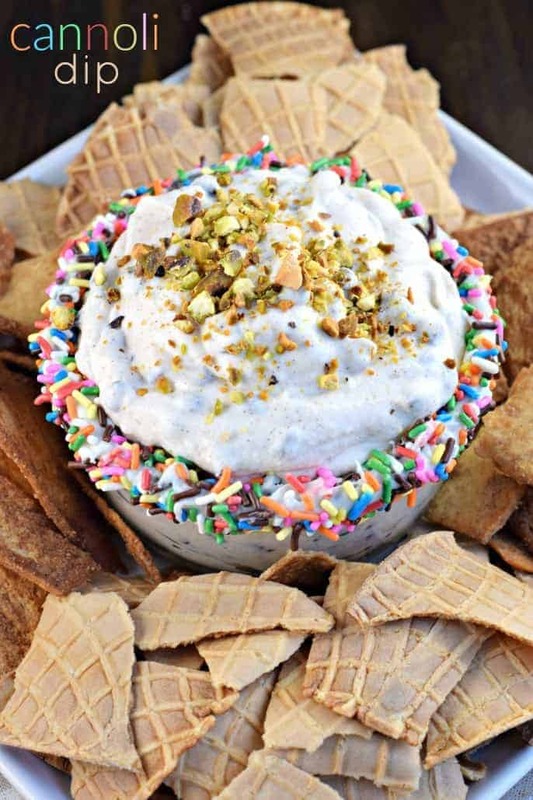 I have to try this cannoli dip, cannolis are one of our favorite treats! All the parties in one day does sound exhausting but so fun! I’m sure you have so many memories of just being together! I will be praying for your son as he leaves soon! And this dip…holy cow! 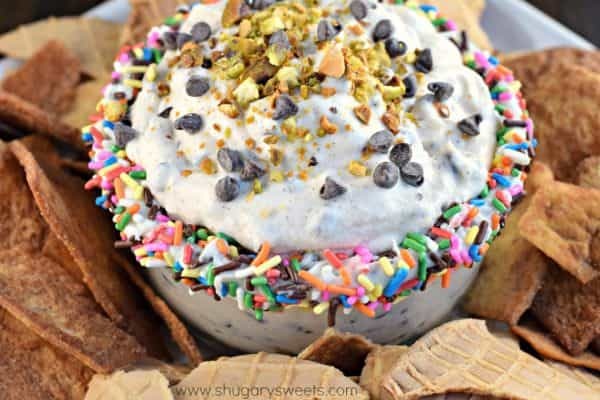 I would probably devour the entire bowl in one sitting! You’re such a good mom! What a fun memory!